In the case of the Ativ Tab 3, we get the feeling that could be about to change. The Windows 8 market is quietly gaining traction, and the sheer number of extras on offer here make it an attractive proposition. We're awaiting a price before making any rash calls but we were quietly impressed with the Ativ Tab 3, despite the cheap feeling plastic and flexible chassis. All in all, Samsung is upping the Windows 8 tablet game by introducing its ATIV Tab 3. While it may not have the most powerful internal specs, its perceived performance is surprisingly quick and responsive. The ATIV Tab 3 is expected to be released in early August for $699 along with an included Bluetooth keyboard. Tablet is very good, and the most important thing is certainly its keyboard that can be connected to tablet via Bluetooth connection. A good quality characterizes the chiclet keyboard that exceeds most of what we have seen recently. Keystroke and resistance is perfect for a longer work, and if you are buying a tablet for work and long periods of typing, you will not make a mistake. As far as configuration, this average model offers 1.8GHz Intel Atom Z2760 processor, 2GB of RAM, and 64GB SSD, but the capacity can easily be expanded using MicroSD memory cards. Regarding the standard usage of the Windows 8 system, everything is beyond reproach and everything is working smoothly; however, you should not expect that processing of larger images or other demanding jobs would be so smooth. 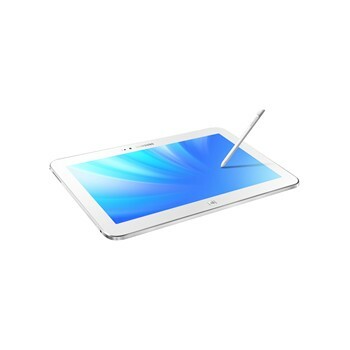 Samsung ATIV Tab 3 is a good tablet that comes with good keyboard, it is intended for the average consumers for everyday office work, Web surfing and multimedia, so the price is fully justified. 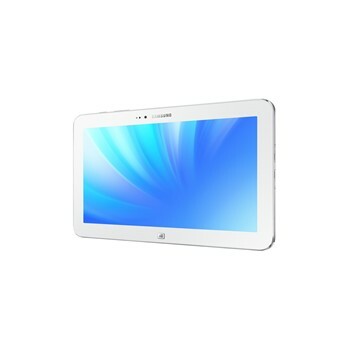 Positive: Very compact size and light; full Windows 8; additional keyboard. 80.6%: This rating should be considered to be average. This is because the proportion of notebooks which have a higher rating is approximately equal to the proportion which have a lower rating.